Steven R. Graboff, M.D. is an Orthopedic Surgeon, certified by the American Board of Forensic Medicine and the American Board of Forensic Examiners. He is a member of the American College of Forensic Examiners and a Certified Forensic Physician. He had an active Orthopaedic Surgery practice in Huntington Beach, California from 1985 through 2017, and he brings considerable expertise and experience to the forensic medical legal community. Dr. Graboff retired his clinical practice January 1, 2018 and continues to provide forensic medical-legal services. With over 30 years of litigation support experience, Dr. Graboff has qualified and testified as an orthopedic expert witness representing both the plaintiff and defense over 1000 times in cases throughout the United States and abroad. Dr. Graboff provides professional and scientific based orthopedic expert witness services to the medical and legal communities including medical legal testimony, record review and opinion, certificate of merit, and case preparation for trial. 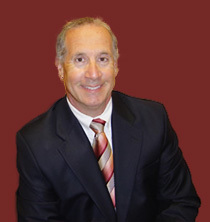 Dr. Graboff received his medical degree from the University of California, Irvine in 1980. He did a general surgery internship at the University of California Irvine Medical Center and affiliated hospitals from 1980 - 1981, and he completed his Orthopaedic Surgery training in 1985 from Harbor-UCLA Medical Center and affiliated hospitals, Los Angeles, California. Dr. Graboff was continuously certified by the American Board of Orthopaedic Surgery from 1987-2017. He continues to be certified by the American Board of Forensic Medicine and the American Board of Forensic Examiners. He is a Diplomate of the National Board of Medical Examiners and has been appointed by the State of California as a Qualified Medical Examiner. Dr. Graboff is a member of the American College of Forensic Examiners, the American Medical Association, the California Medical Association, the Orange County Medical Association, the California Orthopaedic Association, the Association of University Professors, the California Faculty Association, and the California Teachers Association. He has volunteered his services as the team physician for the Garden Grove School District for 10 years and participated in the CIF Southern Section Athletic Safety Commission. Dr. Graboff has been teaching Orthopedics, differential diagnosis, and musculoskeletal radiology in the doctoral program, Department of Physical Therapy, California State University, Long Beach, College of Health and Human Services, for over 10 years. He has been a guest lecturer at the University of California Irvine School of Medicine and an Instructor in the Clinical Foundations teaching program. Dr. Graboff is a medical specialist and advisor for the City of Huntington Beach Fire Department Emergency Operations Center and Office of Homeland Security, and he volunteers his services with the Medical Reserve Corps, Orange County, California.